First up for ECS is the icebreaker event on the Sunday before the meeting, while this is open to everyone attending the Assembly, there’ll be a spot especially for early career scientists – the “ECS Meeting Corner” (Foyer E). So, if you’re coming alone, or if it’s your first time, you’re sure to find a few like-minded fellows! After the success of the young scientists’ lounge –it is back for EGU 2017! The lounge is somewhere that you can take a break, grab a coffee and gather your thoughts away from the buzz of the conference. Located on the Red Level of the conference centre, it is also a great place to catch up with colleagues you haven’t seen in a while, or start up a conversation with someone new. 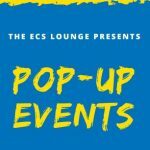 For the first-time this year, there will be a series of pop-up style events held at the lounge too. Check out the notice boards to find out all the details. On the notice boards you can also find information about cultural activities on offer in Vienna. 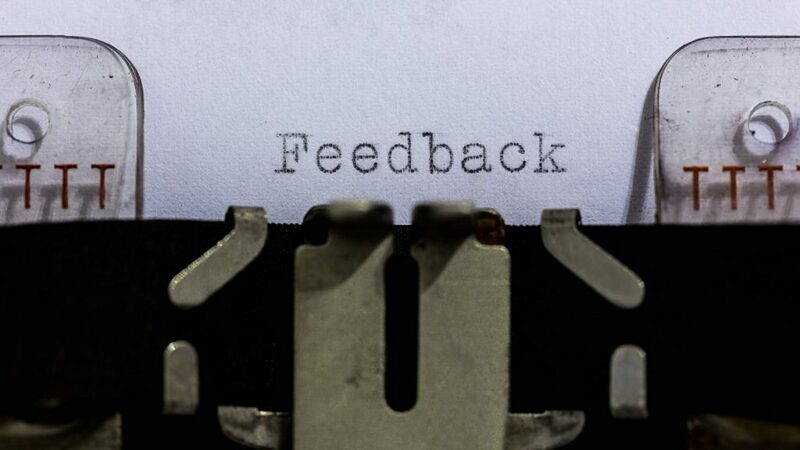 There is also the opportunity to provide feedback via suggestion boards. The Early Career Scientists Networking and Careers Reception, with drinks and light snacks, aims to bring together early career scientists and award-winning researchers. For the first time in 2017, selected industry partners exhibiting at the General Assembly will also be in attendance. The reception offers an opportunity for ECS to ask those in the know career related questions and for establish scientists, in and out of academia, to share their experience with young researchers in the early stages of their career. Places at the reception are limited and are currently full, however, please stay tuned to the EGU’s social media channels, particularly Twitter, during the General Assembly, as we’ll be advertising any extra spaces that become available. It’s not all about the social stuff though, there’s a veritable feast of courses where you can fine-tune your skills and grab those all-important nuggets of information to help you forge a career in academia. From Union-wide sessions to workshops and short courses, there’s a lot to choose from, including division-specific sessions to meet the experts in solar terrestrial science and how unmanned aerial vehicle (UAV) technology can be used for monitoring natural hazardous areas. 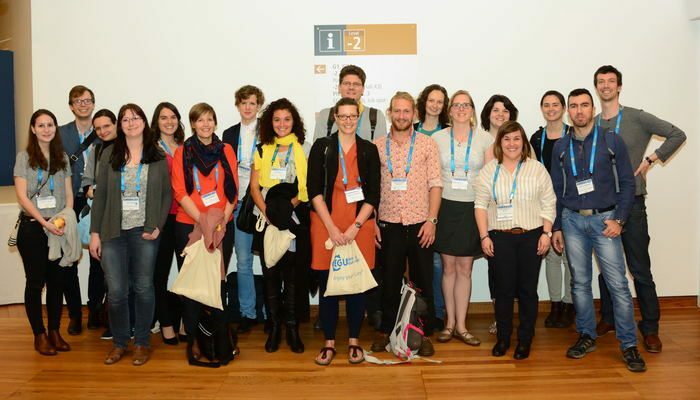 You can learn how to convene a session at EGU 2017, gather tips on how to make sure your grant proposal stands out and how to inspire the general public with a masterclass in science communication in the age of Brexit and Trump: how to reach the hard to reach – but this is just a snapshot! Take a look at our ECS sessions shortlist to see what is on offer this year. The representatives will be making themselves available throughout the conference for informal chats at the EGU Booth. Take a look at the programme to find out when you can catch up with your division representative. Laura Roberts, the EGU’s Communication Officer and point of contact for the ECS members at the EGU Offices, can also be found in the lounge during most coffee breaks. Feel free to approach her if you have any questions or suggestions about ECS related activities! 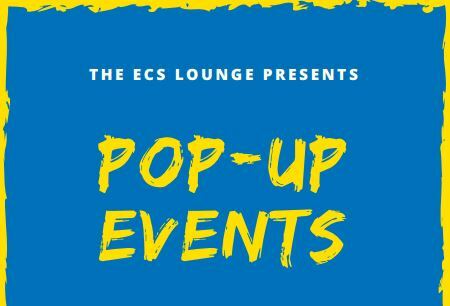 The Union Level Representatives (Lena Noack and Roelof Rietbroek) and the ECS Executive Office ECS Contact, Laura Roberts Artal (EGU Communications Officer), will also be available from 11:15 to 12:45, on Tuesday the 25th, at the EGU Booth, to answer all your ECS related questions and to discuss any ideas you might like to bring forward. You can also let us know what you think via the ECS survey which will become available during the General Assembly. You’ll find it included within the EGU 2017 Feedback survey. Don’t forget to save a space for a few talks from outstanding early career scientists. The winners of the Arne Richter and division awards will be giving talks throughout the week and are well worth a listen. Check the online programme to find out when and where they are taking place. Finally, the finalist films in EGU’s Communicate Your Science Video Competition are being showcased at GeoCinema, the home of geoscience films at EGU 2017. We’ve had some excellent entries – you can take a look and vote for your favourite using the EGU YouTube channel.